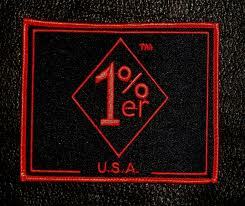 I’m a 1%er! No, not an outlaw biker gang member that uses the moniker to distinguish themselves as the bad of the bad. Actually I am a 1%er in the eyes of the State of Alaska. In 2010, Alaska’s population grew by 1.7%. Of Alaska’s 29 boroughs and census areas, 24 grew between the 2010 Census and the 2011 estimate. The largest population increases were in the Municipality of Anchorage (4,371), Matanuska-Susitna Borough (2,702), City and Borough of Juneau (1,015), Kenai Peninsula Borough (969 and the Bethel Census Area (535). I know it is not much a big deal to be one of the 2,702 people to move into the Valley, but to me it is something that my family and I have dreamed about for a long time. I would bet that less than one percent of people’s dreams do come true. Has yours?